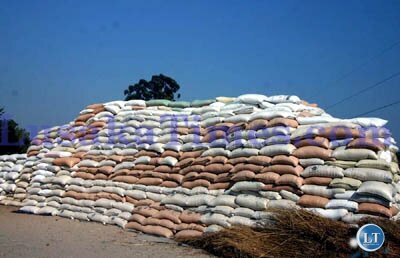 GOVERNMENT has agreed to allow the exportation of 22,000 metric tonnes of maize bran after verifying that the country has enough domestic stocks. Agriculture Minister Given Lubinda said yesterday in Lusaka that the ministry had agreed to allow the exportation of 22,000 metric tonnes of maize bran after the verification of available stocks with an initial quota of 15,000 metric tonnes that would be allocated to Millers Association of Zambia (MAZ) and its non-members as well as small bran traders under the name “Stockfeed Exporters and Importers Association of Zambia”. Mr Lubinda said that the ministry together with other wings of Government and stakeholders undertook a verification exercise throughout the country and a national maize stock position was established which indicated that the current domestic demand for maize bran is 17,247 metric tonnes per month while the production from MAZ members is 10,000 metric tonnes per month. He said that consultations took place between (MAZ), Dairy Association of Zambia (DAZ), and Poultry Association of Zambia (PAZ), the Zambia National Farmers Union (ZNFU) and the ministry on the issue of the exportation of maize bran and that the ministry’s concern was to ensure that livestock farmers did not face a shortage with their bran requirements as well as the bran not going bad as it has a short life span. Mr Lubinda said that the ministry would facilitate the issuance of export permits for maize bran and would continue to closely monitor the exports. “From the above consultations, the ministry has agreed to allow 22,000 metric tonnes of maize bran to be exported. However, we will start with an initial quota of 15,000 metric tonnes. This quota will be allocated to MAZ members and non-MAZ members as well as small bran traders under the name ‘Stockfeed exporter and importers Association of Zambia’. 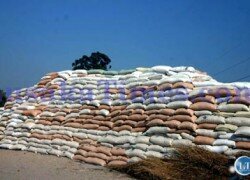 ‘‘The ministry is fully aware about the huge demand for bran, just like that of maize and mealie meal in the region. However, the ministry is cognisant of the need to ensure domestic demand is met,” he said. Mr Lubinda said that MAZ had 30,000 metric tonnes of bran and that if all millers were included then the bran stocks and production would be much higher than 30,000 metric tonnes. He has called for harmony, trust as well as co-operation between MAZ, ZNFU and other stakeholders to prevail to ensure growth of the agriculture sector.